Learn the bass guitar with Tom Gates! 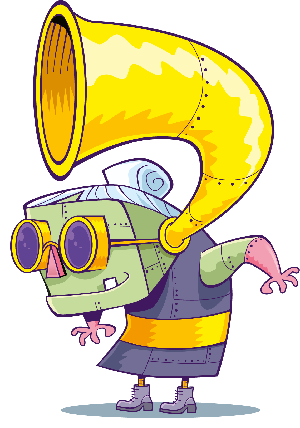 Hey, it’s Tom Gates here – that’s right from the ultra cool band, DOGZOMBIES! You may not have heard of us yet but you will do… once we win the Rockweekly Bandbattle competition! That’s if we don’t get distracted along the way! If you want to be super cool rockstars like us, then why not grab your mates and start your very own band? Don’t worry about the songs, we’re going to show you how to play the different parts of one of my favourite DOGZOMBIES songs – Delia is a Weirdo! Today we’re going to be learning how to play the part of the bass! The bass is a guitar usually with four strings. It also creates a much lower sound than a ‘normal’ guitar and works closely with the drums to keep the rhythm. Click play and see if you can master the part! Don’t worry if you don’t get it straight away – practice makes perfect! Click here to learn more instruments! Find out if Tom Gates wins the Rockweekly Bandbattle in the latest book A Tiny Bit Lucky, from the award winning series by Liz Pichon.